The Rocky Point | Just Shooting Memories! 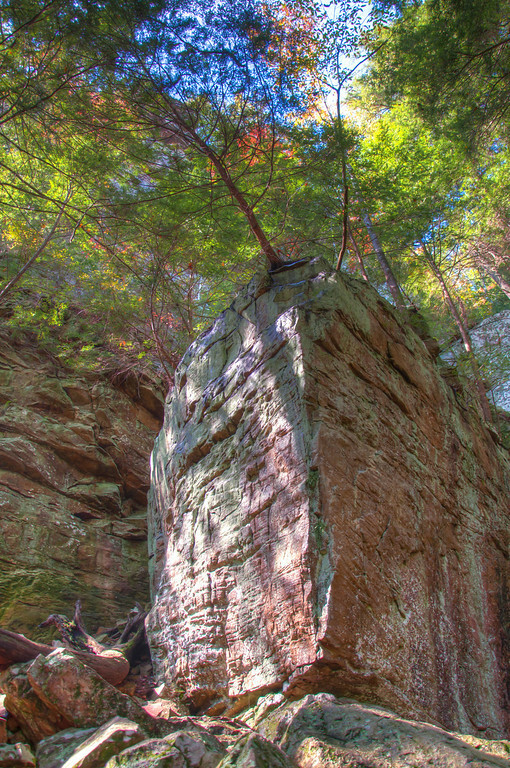 I was walking the trail to the base of Fall Creek Falls when I ran across this prominence. I was drawn to it because there were a couple teenagers sitting right at the edge where the tree sticks out. It reminded me of all the time I spent rock climbing when I was younger. If I had taken any of my climbing gear, I would have been hard pressed to stay away from this. As it was, I had to settle with a few photos.